This petite scented geranium is a guaranted conversation started. 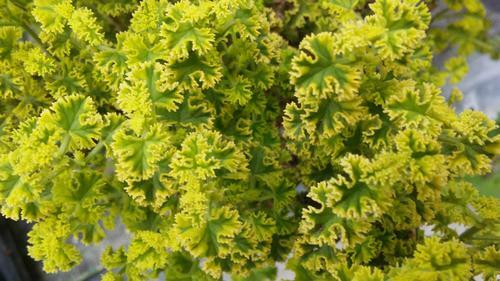 Tiny, bright green leaves are ruffled and edged in yellow, with a strong lemon scent. More compact than other scented geraniums this cutey can stand alone as a specimen pot on the kitchen table or in mixed containers.